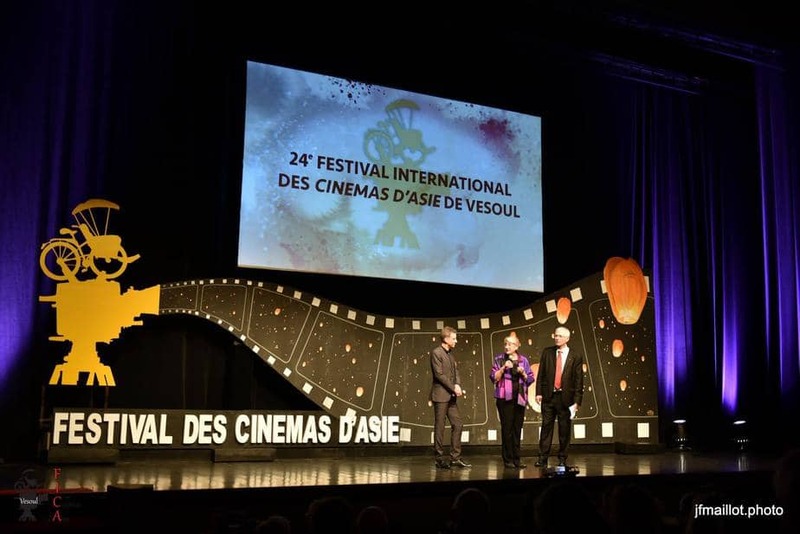 It is not a secret that Vesoul International Film Festival of Asian Cinemas is a result of love for Asian countries, Asian culture, Asian films, and of romantic love. “This festival that was created by a couple – my wife and I celebrates its silver wedding anniversary, its 25 years of marriage. So the theme of couples is imperative.” explained Jean-Marc Thérouanne, founder and managing director of the festival to the AFP (Agence France Press). Since its first edition in 1995, VIFF of Asian Cinemas has welcomed more than half a million audience members, with 32.000 coming to the festival screenings in 2018 and “Women Speak” as its thematic setting. “We have started in a phone booth, with 12 films and 1500 visitors. Now, we have become a festival with international recognition. In October 2018, we have had the honour to receive the Korean Cinema Awards, an accolade previously presented to the figures of the cinema industry such as Gilles Jacob or Thierry Frémeaux.” Thérouanne continues. “It is important to show that there are bridges between Asia and France, notably through art”, added the minister, while considering “putting a spotlight on all that is being done in the different parts of our country, not only in Paris” critical. The main prize of the VIFF of Asian Cinemas is the “Golden Bicycle” awarded by an international jury presided by Eric Khoo, Singaporean film director and producer (eg. “My Magic”, “Tatsumi”, “Hotel Singapura”, “Ramen Teh”). The jury comprises of three more members who are film directors from Kazakhstan – Darezhan Omirbaev, South Korea – Bae Chang-ho, and Palestina – Rashid Masharawi whose “Haïfa” screened in the 1995 Festival de Cannes Official Selection. Altogether nine films screen in the competition that require at least French or European premiere. Taken from the global point, VIFF of Asian Cinemas aims to be “a true festival of research and protection of the film heritage”. The anniversary edition of the festival, the “25th Anniversary Carte Blanche” section presents nine personal cult films of the festival representatives and collaborators including “The Housemaid” by Kim Ki-young (South Korea), “The Big City” by Satyajit Ray (India), once again “Taste of Cherry” by Abbas Kiarostami (Iran), and “Grave of the Fireflies” by Isao Takahata (Japan).